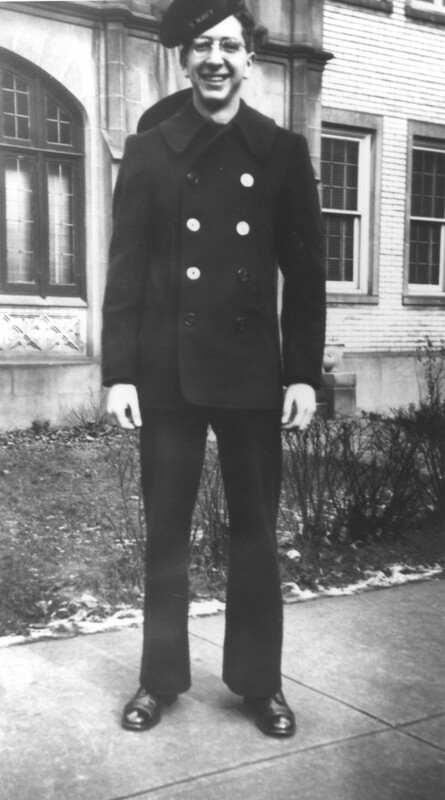 A photograph of Harry Mervis, c. 1945, who was in the U.S. Navy during World War II. He loved being in the Navy, but left and returned home at his mother’s request. He went onto become an electrician in the Jones & Laughlin steel mill. 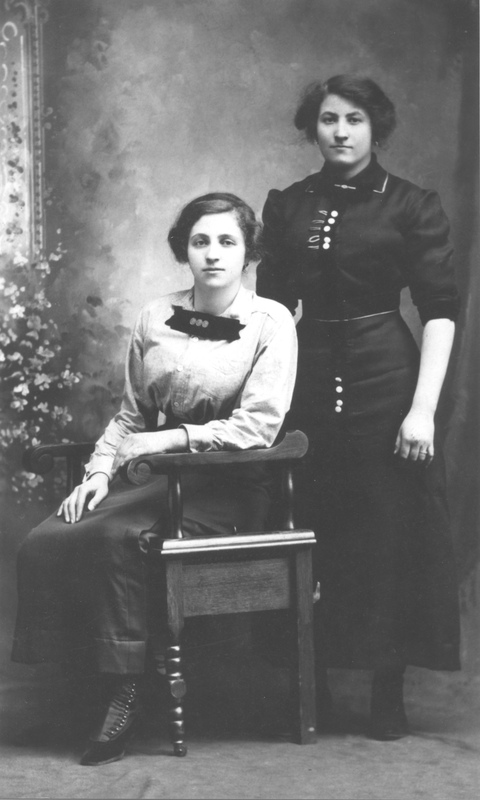 Two sisters, Celia and Sarah Perlman who emigrated from Lithuania to Homestead. Sarah is Harry’s mother, who was widowed when Harry was quite young and raised four children, two of whom were deaf, all on her own. The above picture of Celia and Sarah Mervis is captioned wrong. Sarah (my grandmother) was Harry’s mother, not Celia. My mother was Miriam (Mervis) Keisler, Harry’s sister. Thank you for the correction. My sympathies to you and your family on your loss. I’m sorry I didn’t get this post right initially. Look for an email from me — as you may know, we are cousins! I, too, am working on the Friedlander family tree and would love to talk to you at your convenience. My husband is Blair Jacobson, son of Sam – Gordon-Jacobson Chrysler dealers in Homestead. I have almost no information on you or any siblings, and very little on Harry’s children and grandchildren. I hope you will be willing to help me. Tammy, attended your 5-14-15 presentation at the Carnegie Library of Homestead. You probably already know this, but Harry Mervis died 4-25-15. He married a Slavic Catholic woman. If I remember correctly, he owned/operated S&S Shoe Store in the 300 block of 8th Avenue. Great presentation. You’ve amassed a towering amount of information. Good job. I’ll drop you an email shortly to followup on the conv we started last week in person! I grew up in the Homestead area. My father bought a 1954 Studebaker Champion from Mervis Motors on Eighth Ave. In 1955 they moved their dealership to Carrick. As a 14 year old I secured a position as a pin boy at Harry Glick’s bowling alley which was on Eighth above Book’s shoe store. As a boy I attended St Matthews across Tenth Ave from Rodef Shalom congregation. I appreciate the work and dedication of your website and the historical information in it adds to the history the Homestead community. I think Celia Mervis was my grandmothers older half sister. My grandmother’s maiden name was Glick, married name Goldenson.. Is this the same family?